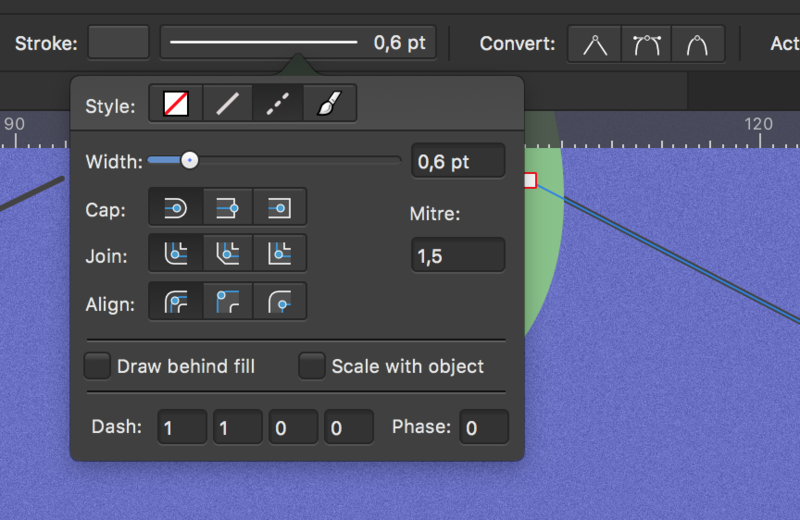 Adjusting the settings in the stroke studio produces no results, the line remains solid. Am I missing something? It seems to be working fine, can you do a quick screen recording showing the issue. I assume that the line is selected before you are adjusting the Stroke. same problem here. Here is a screen capture with my settings, and to to the right my output. Nothing happens. The function has worked for me in the past, but not on any new files I create. It is driving me crazy. Try increasing the Gap size. This is the result I have...I realize the last stroke I make in this video is not selecte but the first two are. I'm having the same problem as Girlvsworld. 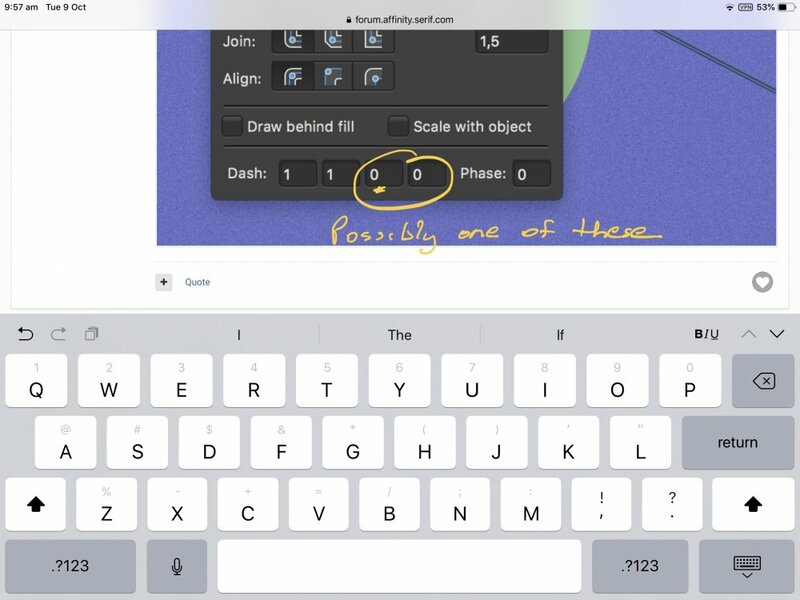 None of the Dash Pattern effects work on the Ipad. Resetting the pressure curve didn't help. I only just got the Ipad version, but I'm used to the desktop version, where I have had no issues. make sure pressure curve is reset before adjusting dash and gap. Use small settings. See screen video.